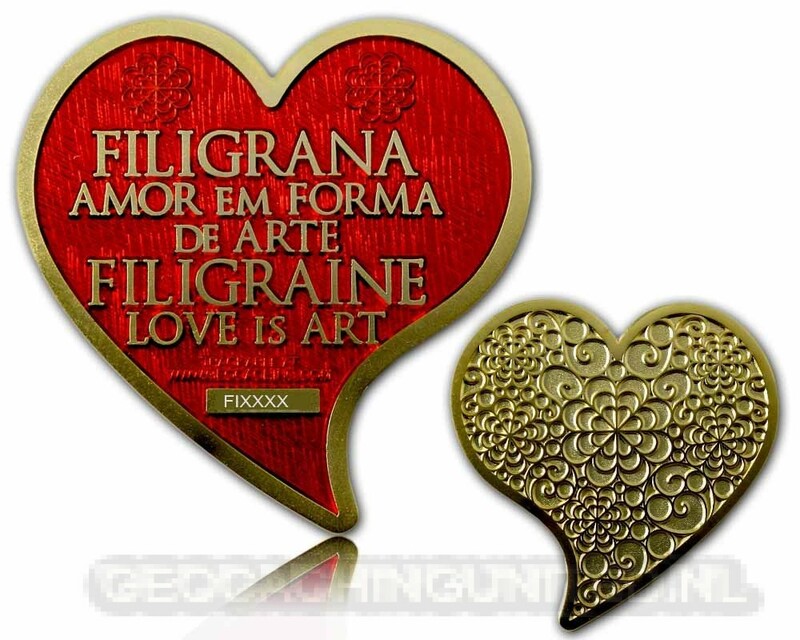 The Filigrana Love Geocoin is a wonderful heart-shaped Geocoin with a great pattern and nice transparent colors. On the backside there is the text "Love is Art". An amazing gift !